Do you feel like that the time you spend making sewing plans is actually more than the time you spend on sewing?? Because, this is how I feel lately! I try not to get so excited with every new pattern that is out there but..let’s be real guys! The pattern and fabric choices are endless! 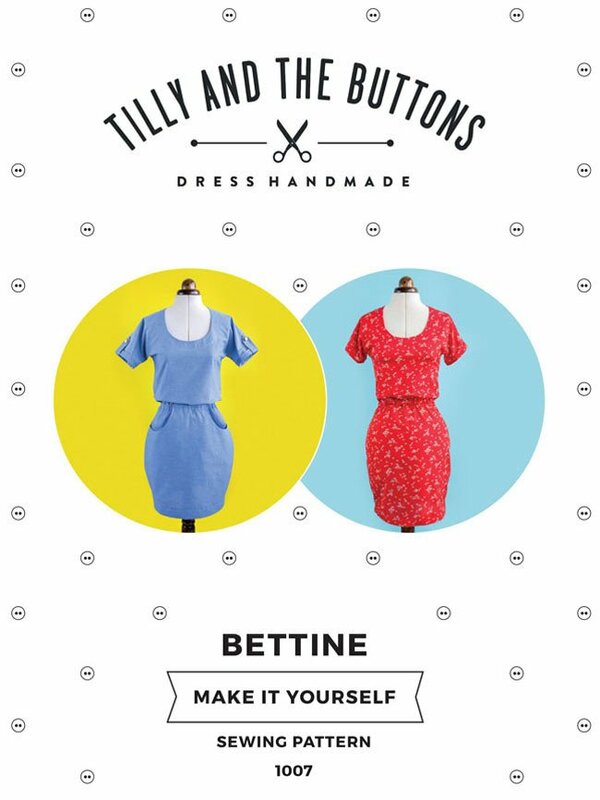 Today, I would like to share my Bettine dress by Tilly and The Buttons! It is so lovely! I love this quite different shape that it has. I’m used to fitted bodices and gathered/full skirts and Bettine was a really happy change for me. The dress has kimono sleeves with turn up cuffs and you are able to put sleeve plackets on or to avoid them. It has elasticated waistline and a tulip shape skirt. There are two skirt variations. Variation 1 has a plain skirt while variation 2 comes with pockets. 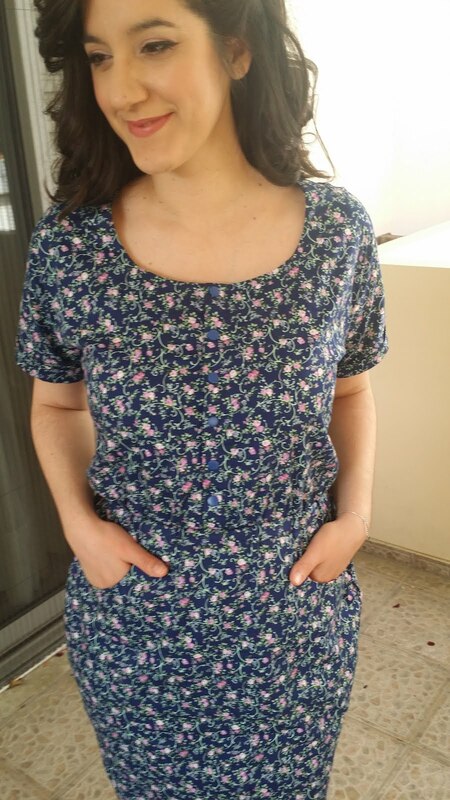 I made the dress with turn – up cuffs, sleeve placket and skirt with pockets. This pattern is beginner friendly. I got 2 meters of cotton poplin fabric for 5,5 euros per meter from a fabric shop in Athens. I chose to create an opening at the front like I did to my Moneta dress and I put snaps for the closure. 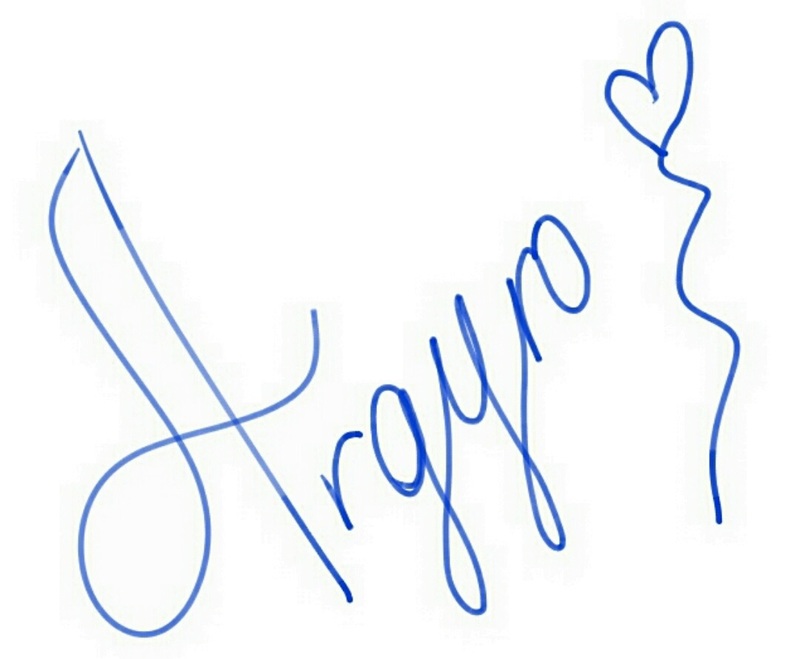 The snaps I used are by Prym’s Love collection from raftadiko for 2,90 euros per pack, in navy blue. 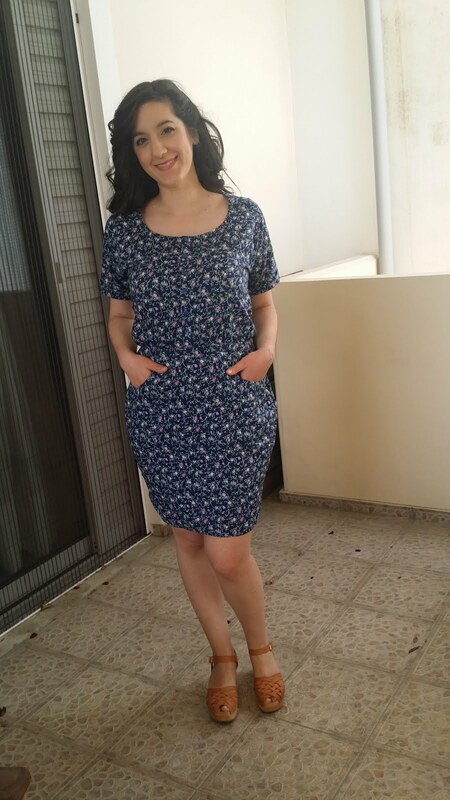 Finally, I lined the skirt of the dress using a viscose lining fabric in navy blue which I had in my stash. My obsession for lining my garments goes on strong! Ha ha! I don’t wear slips so in order to avoid my cotton skirts sticking to my legs, I choose to line them. I’m considering to make a skirt, out of lining fabric with elasticated waistline. This will be the perfect antistatic solution for my unlined skirts/dresses (if there are any left unlined – ha ha). Using lining fabric on each garment, the final cost of the garment goes higher about 4-8euros up. I should keep putting lining only on special garments. 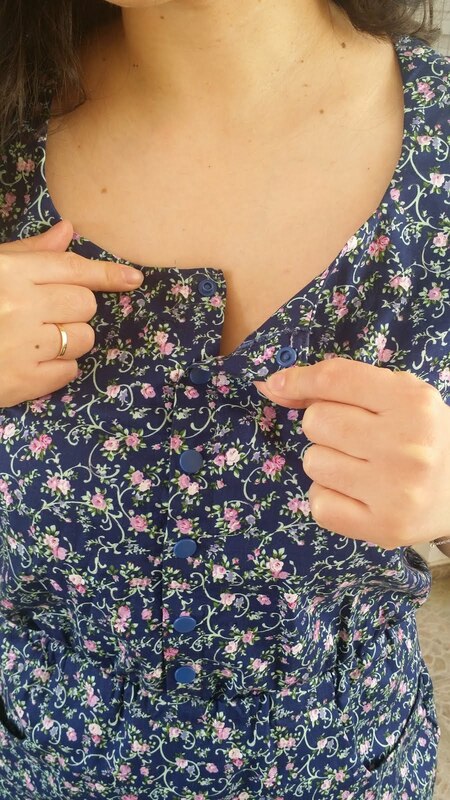 Although Bettine was easy and quick to make, I manage to sew the sleeve placket on the direction of my arm pit! Ha ha! I don’t know why I made this kind of mistake. so I unpicked it and sew it again. 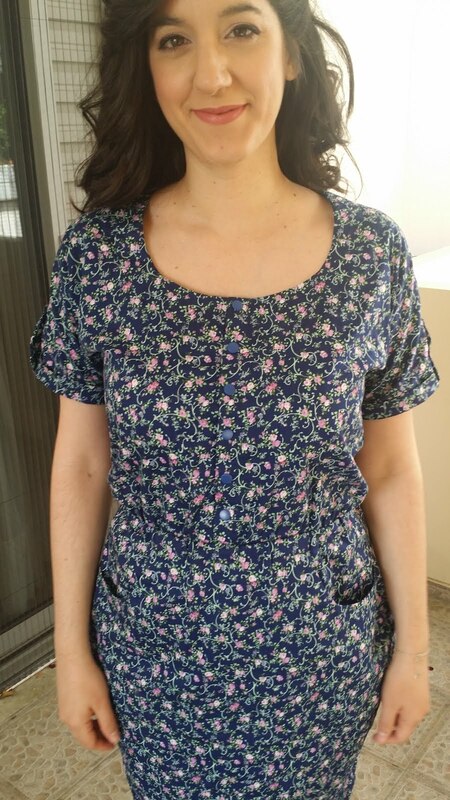 I created the front opening using the same method that I used on my Moneta dress. For more details and step – by – step instructions, please feel free to check the whole blog post here. Button up front, added by me. I used snaps for the opening. I made a skirt out of the lining fabric in order to line the main skirt. For that I used the plain skirt version pattern pieces. I put the lining inside the skirt (before attaching it to the bodice) and I stay stitched them together at the waistline using 1cm seam allowance. 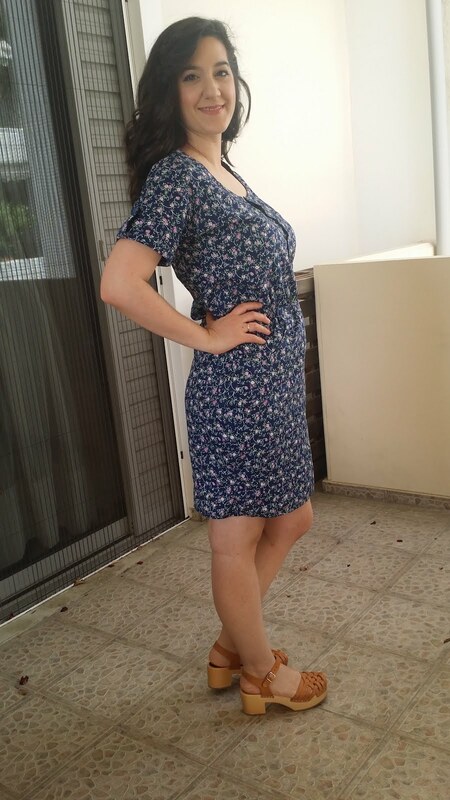 For the rest of the dress I used the pattern instructions as they are. I lined the skirt of my Bettine and it feels better against the skin. Something that I found really interesting at the pattern in that the pocket had 2mm ease. I found that clever because this helps the seam line of the pocket stay inside. Lately, I like to read pattern making so I find such details fascinating! Maybe it is just me! Bare with me guys! 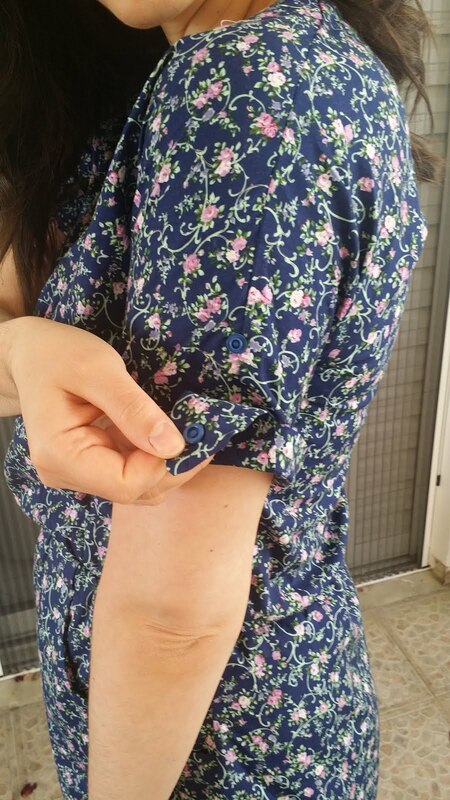 I finished the hem using zic – zac stitch and I turned it by only 1cm. I don’t want the skirt to be super mini because I don’t feel comfortable. To be honest, the skirt of Bettine dress isn’t super mini. Anything about 8-10cm above the knee for me, is super mini! 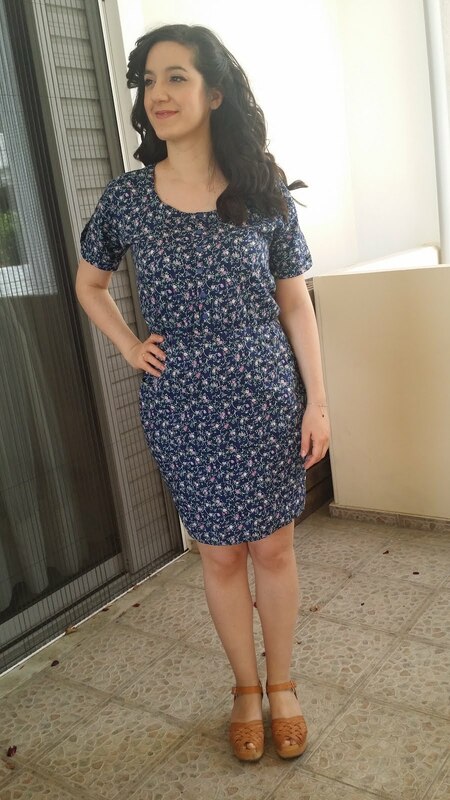 It was such a pleasure making the Bettine dress! You should try it guys! I know that tulip skirt is not for everyone. However, if you choose to make this dress, make sure that you will press those skirt’s side seams properly. Otherwise the skirt will neither look as it suppose to look nor hug your body. 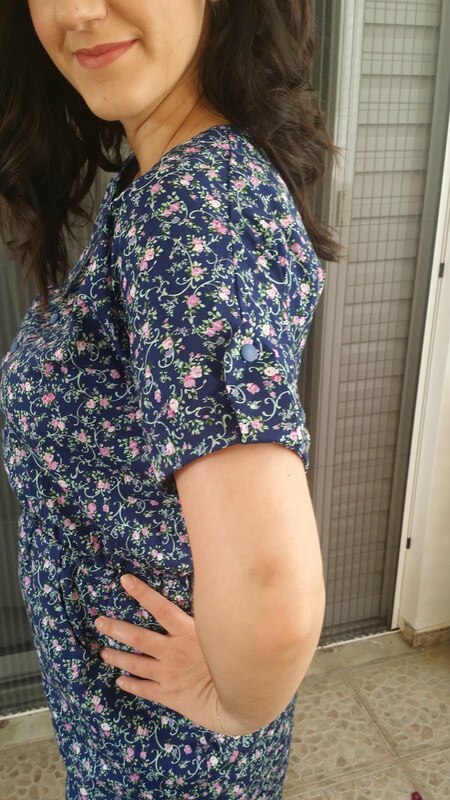 When I first put the dress on, I thought that it was a bit big at the hips, like I needed to shave it a bit. When I gave the skirt a better press it looked beautiful without any alteration! Easy project, perfect for summer! Go ahead and make one or two! Make another one: Yes, yes, yes! I would lalalove to make another Bettine!